An actuary specializes in risk mathematics as it relates to insurance calculations such as premiums, reserves, insurance rates and annuity rates. Actuaries work for insurance companies to evaluate application to determine their risk. The Accumulated value is full amount of the annuity contract. It is the combination of principal and any gain or increase. An Accelerated Death Benefit is when a life insurance policy holder, who has been diagnosed with catastrophic or terminal illness, receives a cash advance in order to pay for treatments and expenses incurred in order to stay alive. Also known as "living benefits", these individuals typically have less than a year to live. Not all companies have this type of cash benefit and terms vary by policy and insurance company. An Attorney Fee Structure Annuity is an annuity set up especially for attorneys who are owed legal fees from a personal injury case settlement. The annuity is a pre-tax and tax deferred investment where payments are made in any form a typical annuity provides. ACH is a nationwide network that enables participating financial institution to electronically transfer funds to other participating banks. For example, if you sell your structured settlement or annuity payments to Rescue Capital, we can transfer your cash lump sum from our account directly into your account if your bank participates in ACH. A.M. Best, one of the two main rating services that rate the life insurance companies' ability to pay claims, base their rating on the evaluation of a company's balance sheet for strength, operating performance and business profile. In addition, they also rate bonds, notes, annuities and securitization products issued by insurance companies. An annuitant is the person entitled to receive annuity payments and is considered the measuring life for a life annuity. In structured settlements, the annuitant is the victim who receives the settlement and/or other persons who have claims to the payments such as a spouse. Annuitization, also referred to as the payout or benefit period, is when an annuity investment is converted into periodic payments. Depending upon the terms of the annuity policy, the payments may not be paid completely to the beneficiaries. The money could go to a trust, person's estate or an insurance company. An annuity is a financial product used to grow money in order to give the owner a constant stream of payments in the future, such as when they retire. Annuities can be paid for a specific period of time such as 20 years or during the annuity owner's life time. Some are paid in fixed monthly, quarterly or yearly payment streams. Some annuities are purchased as investments through licensed financial agents and others, such as structured settlements, are used as a means to settle a lawsuit and also provide income over time. There are variable annuities that pay you monthly, quarterly or yearly. Since most variable annuities are fixed to the stock market you can receive higher or lower returns on your initial investment compared to a fixed annuity which pays you an exact amount on a set date regardless of how the stock market is doing. The Annuity Factor Method is a way of calculating the amount of money a person can take from their IRA or annuity without being charged a penalty. It can also help determine whether or not it makes more sense to sell a portion of their annuity for a cash lump sum. An Annuity Table is used to figure out the present value of a structured series of payments such as in the case when you sell your future structured settlement or annuity payments. Based on time and a discount rate, the annuity payment can be multiplied to determine its present value. An annuity transfer is the generic term referring to the changing of an annuity to another investment product, owner, provider or cash lump sum. For example, when you sell your annuity payments to Rescue Capital, you transfer or convert your annuity into a cash lump sum. Annuities can be converted into another investment product such as an IRA. Some individuals also decided to change annuity providers. When you give an annuity to a charity or child it is considered to be a transfer as well. 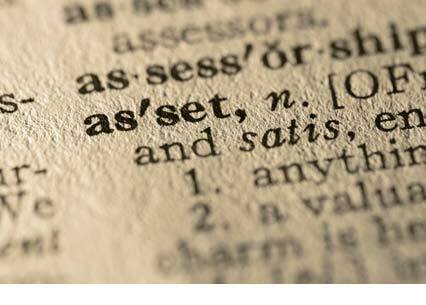 An asset is anything tangible or intangible a person, company or country owns of value. While typically assets are items that can be converted into cash, cash is also considered an asset. Tangible assets can be current assets such as inventory or fixed assets such as real estate or equipment. Intangible assets are nonphysical items or rights that have a value or competitive advantage. Goodwill, copyrights, trademarks and patents are all examples of intangible assets. Financial assets are items such as bonds, accounts receivables, stocks, bonds, annuities, and structured settlements. An assignor is a company who has a legal obligation to make future payments (monthly, quarterly or lump sum) via a structured settlement or annuity. The payments are given to a defendant, injured party or insurance company. An award is a judicial sentence, decision after consideration by a judge or arbitrator, or an assignment via judgment. For example, the plaintiff was awarded $100,000 for damages. The award may come in the form of a structured settlement or annuity. Some people choose to sell their annuity or structured settlement for a lump sum buyout. A beneficiary is a person who receives the remaining guaranteed payments from an annuity. With a structured settlement, the beneficiary receives the payments free of income taxes. However, there can be estate tax implications when the annuitant passes away. A beneficiary clause is a stipulation in an annuity that allows the owner to name primary and secondary beneficiaries. The beneficiary can be changed as defined by the terms of the annuity contract. When entering into a structured settlement factoring transaction, i.e. selling your future payments for a cash lump sum, the Internal Revenue Code Sec. 5891 and most states require that the transaction be in the best interest of the seller. While the standard is somewhat vague and open to interpretation by the ruling judge it must take into account the support of any dependents. While financial hardship is one such reason transactions people sell their structured settlement payments other reasons include: buying a home, getting married, continuing education, foreclosure prevention and paying off debt. Captive insurance companies are insurance companies created to provide risk-mitigation services for its parent company. Usually formed if the parent company is unable to find an outside firm to insure against a particular business risk or if the parent company determines that the premiums it pays to the captive insurance company are sufficiently deductible; or that the insurance the captive insurance company provides is more affordable or offers better coverage. Casualty insurance is coverage against loss of property, damage or other liabilities. This includes auto insurance, liability insurance, theft insurance and elevator insurance. Workers' compensation insurance is an example of casualty insurance for businesses that protects them from liabilities when a worker is injured on the job. Certain and Life Annuity (C&L) is an annuity that makes payments for life of the annuitant with a certain number of guaranteed years. For example, if you have a life annuity with a 20 year guarantee, the first 20 years are guaranteed to you or your beneficiary and the remaining payments will continue as long as you alive (life contigent). If the annuitant dies in year five, the payments would be made for the remaining 15 years to the beneficiary. However, if the annuitant dies in year 21 the beneficiary would receive nothing. Commutation is a condition that can be added to a structured settlement annuity so if the annuitant dies, the beneficiary gets a lump sum payment instead of the continuation of the annuity payments. An annuitant must chose this option at the time of settlement and must select a percentage of the payments to be commuted ranging from 1% – 100%. The life insurance company charges a fee of approximately 5% to 6% for this option which results in a reduced payout to the beneficiary. If a commutation was not selected at the time of settlement the beneficiary can still get a lump sum payment by selling their future payments to a company like Rescue Capital. Compensatory Damages is money awarded in civil court cases to a plaintiff for the indemnification of damages, injury, or another incurred loss as a result of the negligence or unlawful conduct of another party. Unlike punitive damages that compensate above any loss, compensatory damages only pay for the replacement of what was lost, and nothing more. COLA is a featured added to an annuity contract that allows the annuitant to receive more money each year in order to counteract the effects of inflation. Tied to the consumer price index, the yearly increase in annuity payments is usually a specific percentage. For example, if the annuitant receives $10,000 last year from his annuity and COLAs for this year were 6.1%, then his benefits for this year would be $10,610. A Court Order Attorney files the petition for court approval of an annuity transfer when you sell your structured settlement or annuity payments for a cash lump sum. A Daily Rate is a special form of structured settlement annuities pricing based on the daily market conditions. Typically a daily rate is only valid for 24 hours so it could be better or worse than book rates. Some companies will only provide a daily rate quote after you pass an investment threshold ($250,000 is standard) and some require a daily rate after you exceed a certain investment threshold ($1,000,000 is standard). An annuity whose payments do not start immediately is referred to as a deferred annuity. Considered a retirement vehicle, a deferred annuity is subject to a 10% tax penalty for withdrawals prior to age 59 ½. This rule does not apply to structured settlement annuities. Deflation is when prices decline because of a decrease in the supply of money or credit as well as a decrease in government, personal or investment spending. Deflation causes a decrease in profits, increased unemployment, factory closings, lower incomes and loan defaults. In order to counter deflation and stabilize the economy, the government will increase the money supply and rise prices causing inflation. According to a recent Wall Street Journal article, during periods of deflation investors would struggle to find safe, dependable sources of income. The article further states that one of the best ways you can counter deflation is to pay off your existing debt now. A disbursement is the act of spending money. It could be the cost of goods and services, interest paid, business expenses, medical expenses, asset depreciation, overhead or moving expenses. When you receive money from a structured settlement factoring company, the factoring company disburses the funds to you. Another example, is when payments are made on your behalf from the settlement company. Discounting is the process of reversing the value of the future payments back to the present value of the money today. This is often used when someone sells their future annuity and structured settlement payments for a cash lump sum today. An estate is anything of value including money, investments, land, real estate, vehicles, life insurance policies, personal property, structured settlements, annuities, antiques, paintings and other valuables owned by an individual. In other words, it is a collection of liquid and illiquid assets. Estate planning is when you prepare for the administration and distribution of your assets such as cash, annuity payments and real estate as well as liabilities such as mortgages or liens when you die. Such preparations include the creation of wills and/or trusts. An Estoppel Attorney is an attorney that represents the seller in a financial transaction such as selling your structured settlement for a lump sum payment. This attorney is an adviser, protecting the seller's best interest. Factoring is when a person sells their future payments from a structured settlement annuity for a lump sum payout. The buyer of structured settlement payments, called a factoring company, will purchase the right to receive the future payments and in return give the seller a cash lump sum at a discounted rate. Federal and state laws govern the sale of structured settlements and mandate a court approval process to protect the interest of the seller. The FDIC is the Federal Deposit Insurance Corporation, a US corporation that insures bank deposits up to $250,000 per institution. Started in 1933 to encourage stability and trust in the banking system, the corporation protects banks against failure. In order for your money to be protected, your bank must be a member. Therefore it is important to make sure your bank is a member before you deposit your money. The FDIC does not insure money invested in stocks, bonds, mutual funds, life insurance policies, annuities or municipal securities, even if they were purchased at an insured bank. Also, the FDIC does not insure safe deposit boxes or their contents. However life insurance policies and annuities are protected by the Guaranty association in your state. Restrictions and limits do apply. When you sell your entire annuity or structured settlement payments for a cash lump sum this is called a Full Purchase. Gross Advance Amount is the whole payment given to the seller of a structured settlement annuity as consideration for transferring their structured settlement annuity payment rights. This happens before any expenses or other deductions are taken from the payment amount. A guardian is a person who is legally responsible for the care and management of the person or property of an incompetent or a minor. This person may be court appointed. Illiquid is when you have an asset such as a house, annuity or other investment product that cannot be sold quickly or easily without taking a loss because of shortage of buyers. Traditionally annuities and structured settlements were considered to be illiquid assets, however structured settlement and annuity purchasers such as Rescue Capital may purchase these assets for a cash lump sum. An Immediate Annuity is an annuity with a payout period that begins right away or within a year of the purchase date. Inflation Rate is the annual percentage increase of prices for goods and services. Tied to the Consumer Price Index, as inflation rates increase the value of the dollar weakens causing a decrease in purchasing power. The IRC, commonly referred to as the tax code, are the laws that govern the United States tax system. The IRC contains several provisions regarding personal injuries and structured settlements. IRC 104(a) is a clause of the Internal Revenue Code that exempts physical injury recoveries from gross income even if the money was paid in a lump sum instead of in future periodic payments. While the code doesn't specifically mention structured settlements, if your settlement was a result of a personal injury this clause should apply to your situation. As always, consult a qualified accountant or tax professional regarding the tax implications of selling your structured settlement or annuity. IRC 5891 is part of the Internal Revenue Code requiring all structured settlement factoring transactions be approved by a state court and follow its statutes. The transfer must be in the best interest of the seller and their dependents. If the factoring company does not follow the procedures outlined by the state, they must pay a 40% tax on the difference between the value of the future payments sold and the amount paid to the seller. An irrevocable beneficiary is when a person named as the inheritor of an annuity or life insurance policy cannot be changed without his or her permission. An irrevocable beneficiary is often a provision made for Medicaid Compliant Annuities. Life care costs are future medical and non-medical costs incurred because of a catastrophic personal injury. These costs may include medications, medical treatments, rehabilitation training, special education, special housing requirements, special vehicle requirements, personal attendant care and similar types of expenses made necessary because of an injury. Liquidity is the ability to convert property and investments into fast cash without losing a considerable amount of value. Many financial experts believe that if you can convert the asset into cash within 20 days it is considered a liquid asset. Some examples of liquid assets are mutual funds, money market accounts, savings accounts, structured settlements and some life insurance policies. A Lottery is a game of chance decided by a drawing. The most common type is a financial lottery where players pick numbers and win prizes based upon how they match the numbers drawn. Financial lottery winners have the choice of taking the cash in lump sum payout or in annual installments from an annuity. Due to the time value of money, the lump sum choice is attractive to most people. However since the money is worth less in the future you will receive less money if you take a lump sum now. Some lotteries do not have a lump sum option but winners can sell their future annuity payments for a cash lump sum to Rescue Capital. A lump sum is when you receive all your money at once, rather than breaking payments into smaller installments such as periodic payments from a structured settlement or annuity. One such example is when you an annuitant dies and the beneficiary receives all of the money due. Another example is when a buyer of structured settlement or annuity payments pays you a cash lump sum in exchange for your future periodic payments. Historically Market Arbitrage is when you purchase and sell the same security at the same time in different markets to take advantage of price differences. When dealing with structured settlement annuities every life insurance company that provides structured settlements has an optimal price point for benefits they like to sell. In order to maximize the benefits for an injury victim it is often advantageous to use several companies to take advantage of the price difference that exists. Companies that purchase structured settlements have preferences too. Some prefer long-term payments over 20-30 years while other companies like short-term payments. A Medicare Set Aside is when a Medicare or future Medicare recipient, sets aside a portion of their structured settlement annuity for future Medicare covered expenses. They only spend this money on Medicare covered expenses for the injury related care. Once exhausted, Medicare pays for the future injury related care and never looks to the structured settlement again. A NQA is a form of settlement used in structured settlement cases that don't fall within the definition of personal physical injuries under IRC 104(a) such as age discrimination, ADA violations, race discrimination, wrongful termination, worker's compensation and sexual harassment. In addition, they may be used for the sale of highly appreciated property, businesses or divorce settlements. When done properly, these assignments result in annuitant's money being put into an annuity pre-tax and tax deferred. Sometimes called a notary for short, a notary public is a person legally empowered by the state to witness and certify the validity of documents as well as take affidavits and depositions. Many times when you sell your structured settlement or annuity, the annuitant will need to use the services of a notary for the various documents they will need to provide to the buyer and/or courts. A payee is the person who receives annuity payments from a structured settlement. This person is also called the annuitant or measuring life. Upon their death the beneficiary becomes the payee. Partial Purchase is when you sell only a portion of your structured settlement or annuity payments for a cash lump sum. A period certain annuity is an annuity with guaranteed payments that are made for a specific time period and then stop. They are not life contingent. For example, a 10 year period certain annuity would pay the annuitant for only 10 years and nothing more. Periodic Payments are when you receive money in a series of pay outs from an annuity, structured settlement or qualified retirement plan over a certain period of time. The money may be paid in monthly, bi-monthly, quarterly or yearly installments. Sometimes people chose to sell their periodic payments for a lump sum buyout in order to use their cash in other ways. If you are looking for a lump sum vs. periodic payments from annuity or structured settlement, give Rescue Capital a call today. A Personal Injury Lawsuit is a court case where an injured party sues a third party for causing harm to their mind or body. Caused by an accident or negligence, typically the injured person tries to recover medical and hospital costs. Typically, if an injured party receives money it is in the form of a structured settlement. Sometimes these agreements are too restrictive and the injured party may decide to sell some of their future payments for a cash lump sum. Present Value is basically how much a future sum of money is worth today. This is especially important when you are looking at investments or planning to sell your annuity or structured settlement for a cash lump sum. When buying structured settlement or annuity payments, a factoring company will use a mathematical calculation to figure out how much your future payment are worth in today's money taking into account inflation rates and interest rates. A qualified assignment is a document that makes an assignment of the obligation to make future periodic payments as part of a structured settlement which satisfies the requirements of Internal Revenue Code (IRC) § 130. The document is entered by the assignor (party making the assignment) and the assignee (party accepting the obligation). A qualified assignment is used in personal physical injury structured settlements that fall within Section 104(a) of the IRC treatment. While generally the assignment companies are special purpose companies, some qualified assignment companies are actually the insurance company. Sometimes the assignment companies are related to the life insurance company that they purchase the structured settlement annuity from. The Rated Age is a discount life insurance companies apply to structured settlement annuities when an annuitant has a reduced life expectancy. Since a shorter life expectancy means reduced cost for lifetime annuity benefits they can provide a discount. This reduced life span may be because of medications or illness. For example, a 20 year old male who has suffered a brain injury may have a 26 year life expectancy compared to a 55 year life expectancy of a healthy 20 year old. Normally when an assignment is done as part of a structured settlement transaction, the annuitant is a general creditor of the assignment company. However, with a Qualified Assignment Release and Pledge Agreement the annuitant can obtain secured creditor status. So the annuitant only stands behind the government in terms of getting at assets in the case of insolvency. A settled claim is when a structured settlement is used to resolve a legal claim. A show cause order, also called an order to show cause, requires that a person or corporation show up in court to explain why the court should not allow a particular action. These orders are generally used in contempt actions, injunctions or time sensitive situations. This type of order will be used in the newly amended NY Structured Settlement Protection Act, which requires that all interested parties appear in court. Similar to a motion, a show cause order typically produces a court order more quickly than a motion can. A structured settlement is money awarded by the courts as the result of a lawsuit. Paid in regular installments, rather than in one lump sum, these payments provide money for a fixed period or lifetime. Every structured settlement is tailor-made and may also include some money upfront. Used in settling personal injury or malpractice suits, structured settlements terms vary. A structured settlement factoring transaction is when a person sella their future structured settlement payments for a cash lump sum. There are many reasons why a person may sell these future payments including unforeseen medical expenses, to purchase a car, put a down payment on a home, avoid foreclosure and education expenses. The recipient can sell all or part of their future periodic payments for a present lump sum to companies like Rescue Capital. A Surrender Fee or Surrender Charge is when an insurance company charges a fee to the annuity or life insurance policy owner because they made an early withdrawal or cancelled their agreement. The fee, used as an incentive for owners to remain in their contract, reflects insurance company expenses and administrative costs. Typically these fees decrease over time however the surrender charge periods typically last for approximately seven years. After this period has expired owners are free to withdraw funds with no charge. A tort is a wrongful act that results in an injury to a person, their property or their reputation for which the injured party is compensated. For example, if you were involved in a personal injury case involving a drunk driver and you were compensated through a structured settlement or annuity. This situation would be an example of tort.